A trusted manufacturer of high-quality, MADE IN THE USA products, Pacific Echo is an ISO 9001 Certified Company, which has earned a widespread reputation for delivering high-quality, versatile products at an affordable cost. This makes the company a valuable partner for Arm-Tex, which only represents the world's top manufacturers. For nearly a third of a century, Arm-Tex has delivered the industry's top products to clients working across a wide variety of fields and industries. Throughout this extensive period, we've developed lasting partnerships with the world's best brands, allowing us to provide leading-edge solutions for our customers' most difficult challenges. Contact our office to learn more about Pac. 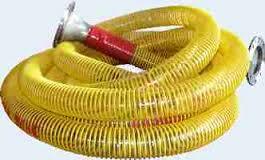 Echo Vapor Recovery Hoses. Our experienced staff is eager to answer your important questions and make recommendations based on your unique requirements.